Newborns generally do just one of three things: eat, sleep, and soil diapers. And yet, somehow, their moods, needs, and expressions are all over the map. 1. Always shoot at the family’s home. Kirsten’s family photography packages includes a 72-hour immersion – shooting people as they live out their ordinary lives. So it shouldn’t come as a surprise that she advocates taking a newborn photograph where they live. “They’ve just brought the baby home they are just getting used to the smells, the sounds –their parents are very comfortable in their own environment so babies will feed off their parents energy. That’s definitely the best place to shoot, ” Kirsten says. Bonus: “Also, it allows context and meaning.” As your families age, they can look to those photographs and remember those first months exactly as they were. 3. Be patient. While a photograph of a smushed up little newborn cuddled up on some nice textiles in an old wash tub will always be adorable – there is more to newborns and newborn photography than shooting while they sleep. 5. Use natural light. 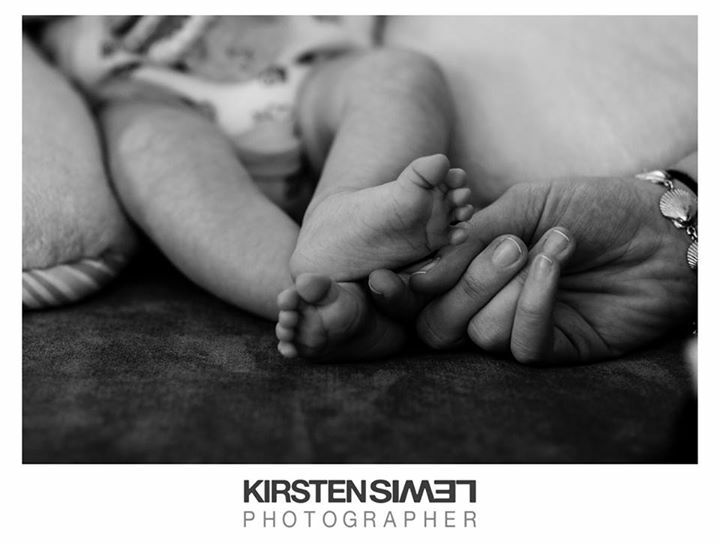 Kirsten takes the same philosophy she uses in labor and deliver photographs and applies it to her newborn photographs. Simply put, “I don’t use a flash.” A camera flash can make a dressed-up adult feel like a celebrity, but a camera flashing in the eyes of a vulnerable new family and sensitive newborn infant can feel like an intrusion. So Kirsten leaves her flashes at home – every time. 6. Don’t set a time limit. “I don’t put any time limits on my shoots – I think that stresses the moms out,” Kirsten goes on to explain, that a baby’s needs can’t be overlooked. If the baby is hungry or fussing or spitting up, it has be addressed. If a new mom is bouncing and nursing and all the while worried about the clock, it’s unlikely she’ll ever really relax for herself or the baby. So Kirsten sets up the shoot so a family knows she’ll be hanging out “for a while” and taking photos until she knows she’s got all the right shots. If you want to learn more about photographing those precious first days or get more tips on bringing a documentary-style feel to your family photography, you can watch the clip and check out Kristen’s class here. RSVP Now for Lifestyle Newborn Photography with Emily Lucarz and find more ways to capture your clients memorable moments.